Kauai County officials say DHHL was trying to evict a man from a property in Anahola. 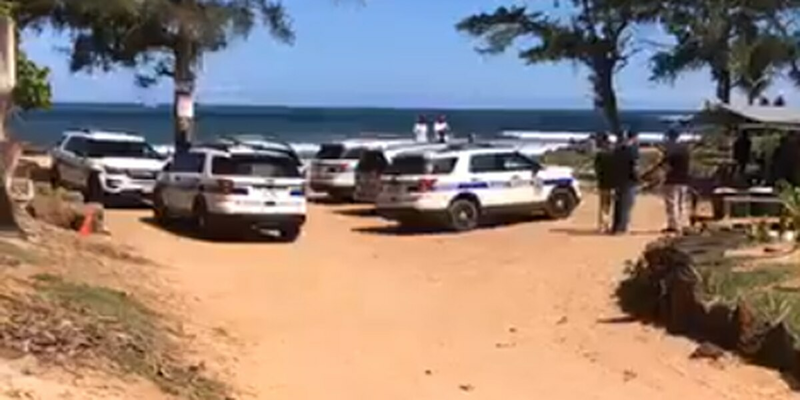 Law enforcement officials gather at an Anahola-area beach known as Pillars. ANAHOLA, KAUAI (HawaiiNewsNow) - State law enforcement officers arrested Hawaiian rights advocate Robin Danner on Wednesday during a raid on an alleged illegal homeless encampment on Kauai. The contractors were removing the man’s personal items when Robin Danner, 55, and her son, Garrett Danner, 34, came onto the property in an attempt to defend him. The pair were arrested by Kauai police for trespassing and interfering witha government action, the DHHL spokesperson said. The two were later released on $100 bail.